Many hotels and department stores are located in this area, especially the west exit vicinity a mega terminal where many subway and train lines are connected. Visitors can easily access to a wide variety of food stores and boutiques of popular fashion brands. 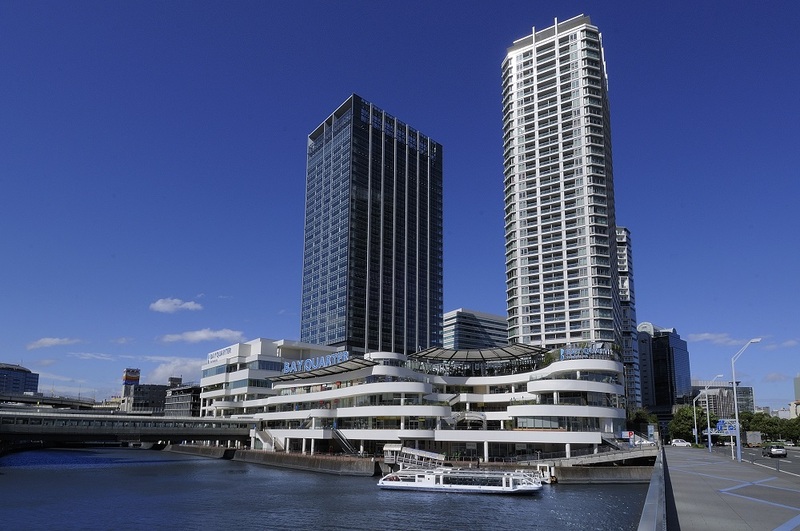 Here you can find Yokohama’s popular tourist spots. Yokohama Landmark Tower, 296 meter sky scraper with a shopping complex, Yokohama Red Brick Warehouse, a complex building where you can enjoy shopping and dining of every kind and, amusement facilities which offer entertainment day and night, just to mention a few. Easy walking access from spot to spot makes the area a popular venue. 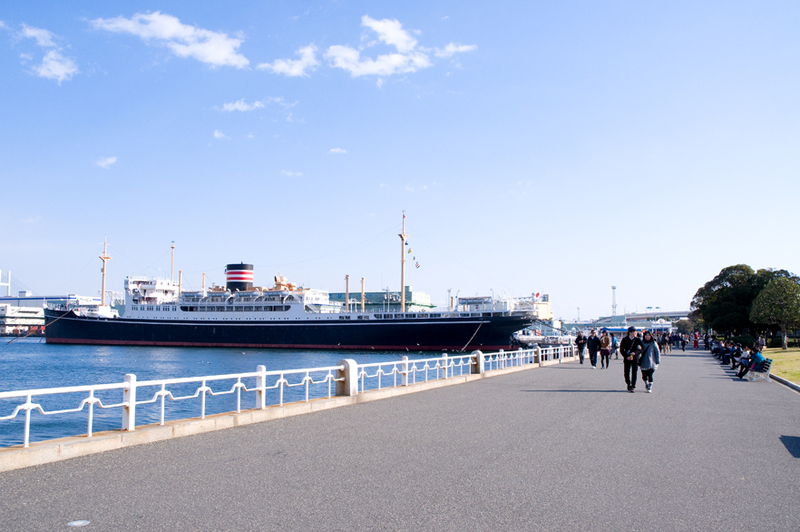 It is one of the most popular and best loved areas in Yokohama where you can experience the distinctive atmosphere and history of this harbor town. A number of antique historic pieces of architecture in western style which are symbols of the Yokohama culture, restaurants with a long tradition, and classy hotels distinguish the area. 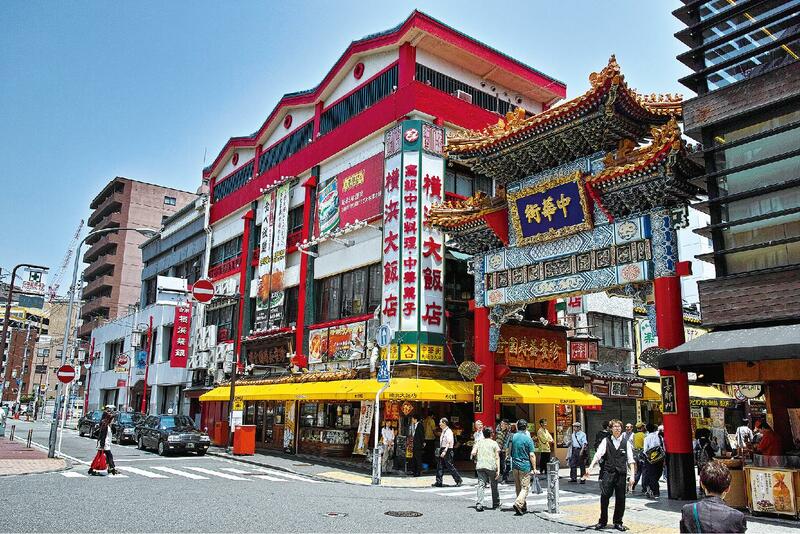 Among countless Chinatowns all over the world, Yokohama Chinatown is one of the largest and the best with as many as approximately 500 Chinese restaurants, Chinese grocery stores and plenty of other shops standing side by side on the streets. The year around bustling streets proves the fun-filled excitement of the town. Being a trendsetting city of its local fashion brands, Motomachi represents Yokohama as a fashion-oriented region. 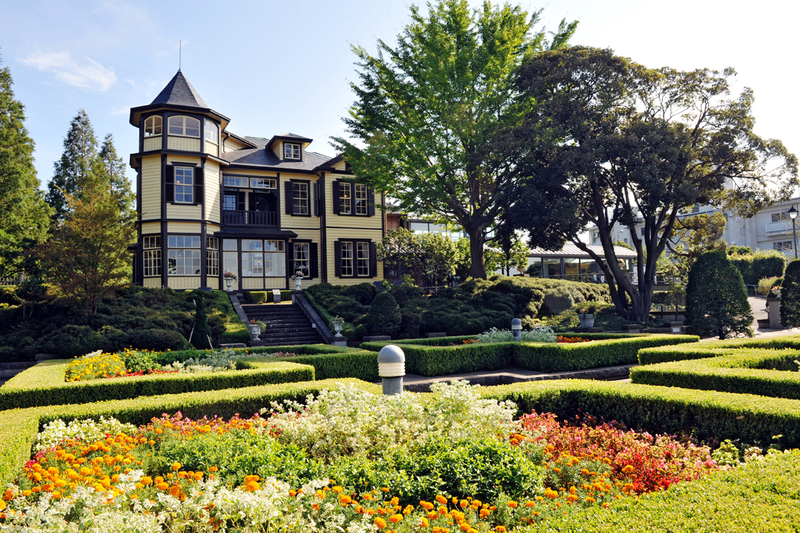 The classical western residential area in Yamate where foreigners first settled when the port opened, is a must-see. Although the town redevelopment altered the landscape, here you can still feel the American atmosphere of a region once occupied by a U.S. military base. 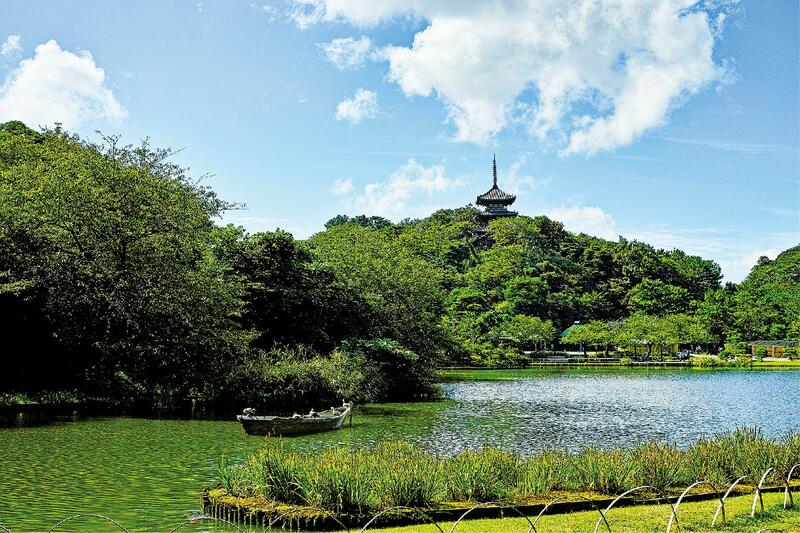 A visit to Sankeien, a Japanese garden with historic architecture where you can enjoy the seasonal changes in the scenery, is also recommended. With only a population of 600, the small village Yokohama started to become widely known to its own country and the world, when its port first opened in 1859. Since then, Yokohama has been taking hold its business function as a modern trading city, pursuing export of Japanese silk and tea. The Great Kanto Earthquake on September 1st, 1923 totally devastated Yokohama. Its original state, however, was mostly restored by around 1929 with the genuine efforts taken by the citizens. After 1931, Yokohama turned its direction towards becoming a heavy chemical industrial city grown from a successful commercial trading city as a result of the reclamation of the coast line which was eventually developed into the Keihin Industrial Area. The bombing hit Yokohama on May 29,1945, just before the end of World War II, burning 42% of the city. Due to the requisition of 90% of port facilities and 27% of the city by the Allied Forces after the war, Yokohama’s reconstruction and adjustment fell behind significantly compared to other cities. 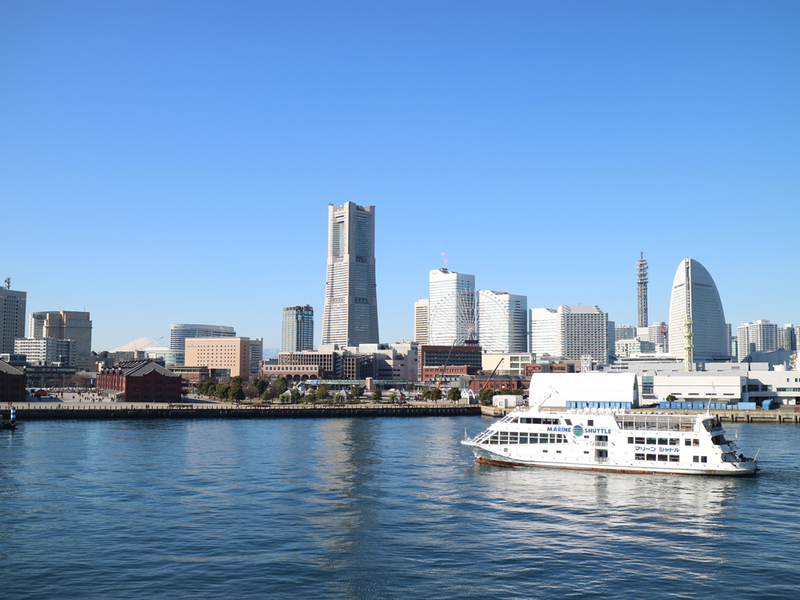 As Japan entered the age of high economic growth, however, Yokohama started to advance a city development and enjoy a rapid population growth. In 1989, Yokohama celebrated its 100th anniversary of the Commencement of the City Administration and the Yokohama Expo (YES ’89) took place. As we mark significant milestones in 2009 commemorating the 150th Anniversary of the Opening of the Port of Yokohama as well as the 120th Anniversary of the Commencement of the City Administration, Yokohama will advance in creating a city filled with dreams and hopes while transmitting a positive message to the world. 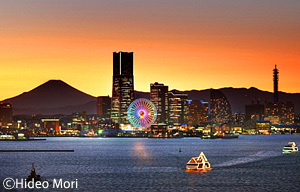 Situated in the middle of the Japanese Islands on the Pacific Coast, Yokohama has a comparatively mild climate.The average temperature in Yokohama is 16 degrees centigrade with a pleasant weather in spring and autumn, high temperature and high humidity in summer, and a mild climate and less snow in winter. In 1854(Ansei 1), the Japan-US Treaty of Peace and Amity (Treaty of Kanagawa) was signed by representatives, Mr. Hayashi Daigaku and Mr. Commodore Perry from Japan and the USA respectively. In 1858(Ansei 5), Japan-US Treaty of Amity and Commerce was signed by Consul-General Harris, followed by treaties with Holland, Russia, Great Britain, and France. The opening of the port was planned for July 1st, 1859 (June 2nd in the year Ansei 6 in the lunar calendar). The feudal government established a foreign resident zone in this year as well as a Japanese resident zone. The Japanese zone was divided into five districts called Yokohama-cho which was controlled by a senior statesman of the Shogunate Government (sotoshiyori) and each district was controlled by a local official (nanushi). On April 1st, 1889, the Municipal Government was established. The areas under control were limited to a small area in present day Naka-ku except for Honmoku and Negishi, but the population had already reached 121,985 and the number of houses was 27,209 (as of 1889). After the port was opened, raw silk, tea and sea products were exported from Yokohama and silk and wool products were imported. Merchants in Yokohama established a silk trading company in 1873 and in 1881 a silk holding house was set up, so taking the initiative to expand the silk trade. At the start of the Meiji 20′s, 1887, a prefectural water service was introduced, and the first light in Yokohama was lit by the Yokohama Public Electric Company in 1890. 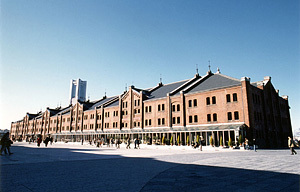 In 1891, Juzen Hospital and in the following year, the gas company and newspaper publishing company came under municipal management, thus establishing Yokohama’s basic infrastructure. The Great Kanto Earthquake on September 1st, 1923 totally devastated Yokohama, turning Yokohama into a sea of flames. 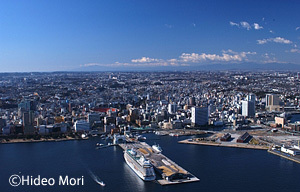 The earthquake left 20,000 dead and, 60,000 houses destroyed, bringing Yokohama to its knees. However, due to the resilience and strenuous efforts of its citizens, Yokohama had almost completely recovered by 1929 (Showa 4). The first two expansions of municipal government control took place in 1901(Meiji 34) and 1902(Meiji 44), and the third in 1927 (Showa 2), taking in Tsurumi and Hodogaya-cho etc. In October of the same year, the ward system was introduced, and Yokohama was divided into five wards; Naka-ku, Isogo-ku, Kanagawa-ku, Hodogaya-ku, and Tsurumi-ku. In 1936 (Showa 11), the fourth expansion took place, the 5th the following year. In 1939 (Showa 14), the 6th expansion took place which included Kohoku and Totsuka. After further expansion, an extra three wards; Minami, Nishi and Kanazawa were included, making a total of 10 wards. In 1969 (Showa 44), Konan, Asahi, Midori, and Seya were included, making a total of 14 wards, and in 1985 (Showa 61), Sakae and Izumi were added, bringing it to 16 wards. Finally in November, 1994 (Heisei 6), Aoba-ku and Tsuzuki-ku were made, bringing it to a total of 18 wards at present. The estuary of the River Tsurumi was reclaimed in 1931(Showa 6), and thereafter part of the coast line was reclaimed and turned into the Keihin Industrial Belt. Since the opening of the port, Yokohama developed as a commercial trading city and industrialization subsequently followed especially in heavy chemicals. In 1945 (Showa 20), the bombing by the USA became more intense and the whole city of Yokohama was burnt to the ground by repeated bombings. Especially in the air raid on May 29, a total of 14,157 died, were injured or went missing, 79,017 houses were destroyed, and 42 percent of the city area was burnt to ashes. After Japan’s defeat on August 15th, 1945, 90 percent of port facilities and 27 percent of the city was taken over by the allied forces. Due to this requisition, Yokohama’s adjustment and recuperation fell behind that of other cities. However, in 1951(Showa 26), Japan regained independence after the peace treaty was signed. On June 1st, 1951 (Showa 26) the administration of Yokohama was transferred to the city municipality from the national government. Furthermore, in 1952 (Showa 27), citizens’ efforts finally paid off when Osanbashi Pier was released from requisition and returned to the Japanese.